The EBRPSS Student Progress Center login screen will be displayed. If you are a first time user, click "Register New User". Click the down arrow to enter your "Relationship" to the student (mother, father or guardian). Enter you "Last Name" and "First Name"; must be the mother, father or guardian's first and last name. Enter the PSN. 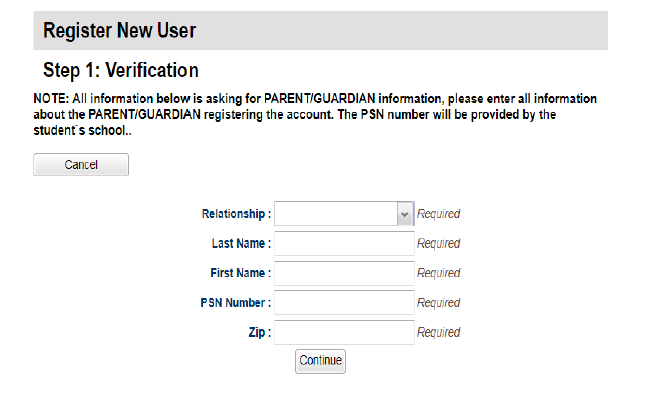 "PSN" stands for Parent Security Number (This number is provided by the school). It is a five digit number used by the system to verify a parent/guardian. When done entering the above information, click "Continue". If the information provided to make a new account matched your child's information in the JCampus system, you will be allowed to create a login and password. Fill in the required information, as shown below. Click "Complete" when done. Once you have sucessfully entered the information, a message will indicate you account was created successfully. It may be helpful to write down your account information (username, password) since it is completely private and cannot be retrieved by school personnel. Click "Login" to access your new account! 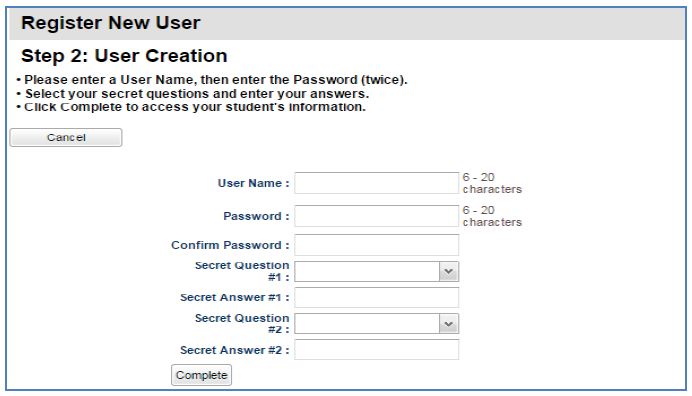 If your account has already been created, enter your "User Name" and "Password", and click "Login". 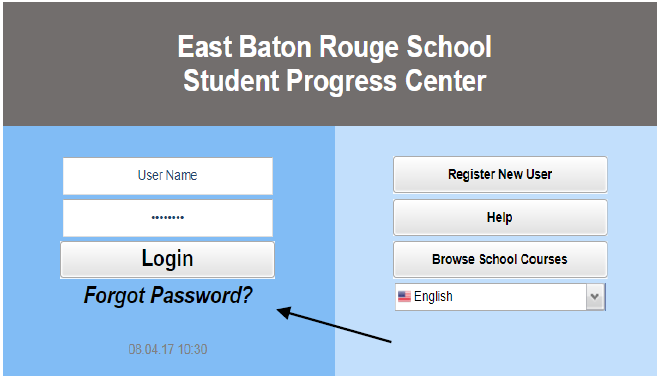 Help EBRPSS Schools keep our records current by updating your contact information (address, phone numbers, email, and military data). This will insure that you recieve all relevant communications form your child(s) school. 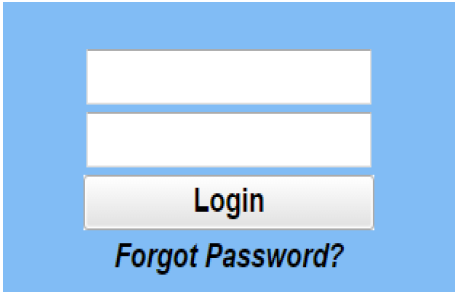 Click the "Forgot Password?" link; you will be asked to provide the answers to the secret questions you chose when the account was created. Click "Submit". You will them be allowed to create a new password.